Isn’t it hard to believe it is now August? I have to say it has been a hot summer here in Charlotte, but we did have a mild Spring that led into the next Season. One thing I do enjoy is the ability to sit outside throughout the year until about December! I enjoy the sunshine and seeing it more often than not, affects my mood in a positive way. One look I love seeing in the summer, which seems to be popular, year after year is the all white look. I shared a look yesterday on the blog, and today wanted to wear white with a bit of a classic look. Yes, my hair remains up in August. and I .got rid of those pesky greys! My stylist said she never saw those white hairs on my head until now…. One way to wear white as separates is to wear a top with texture. 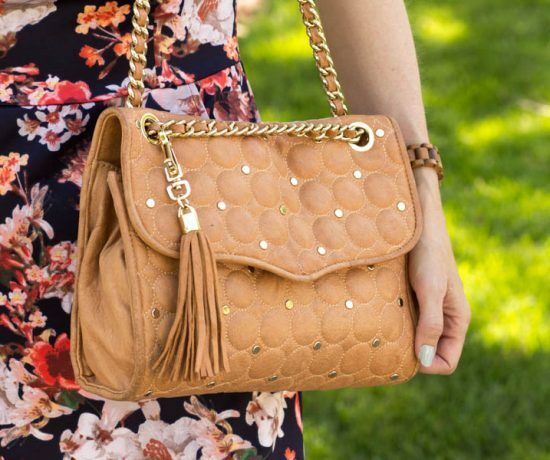 Try lace, embroidery, cut-out styles, and you can also add texture with your handbag. Here I have styled this white lace shell with detail on the collar with white flat front cropped pants from Ann Taylor. The detailing and texture gives more visual interest to the look. I paired it with my white sling back kitten heels for a dressier look. Yesterday I wore my white denim shorts and all white outfit, while accenting with neutrals. 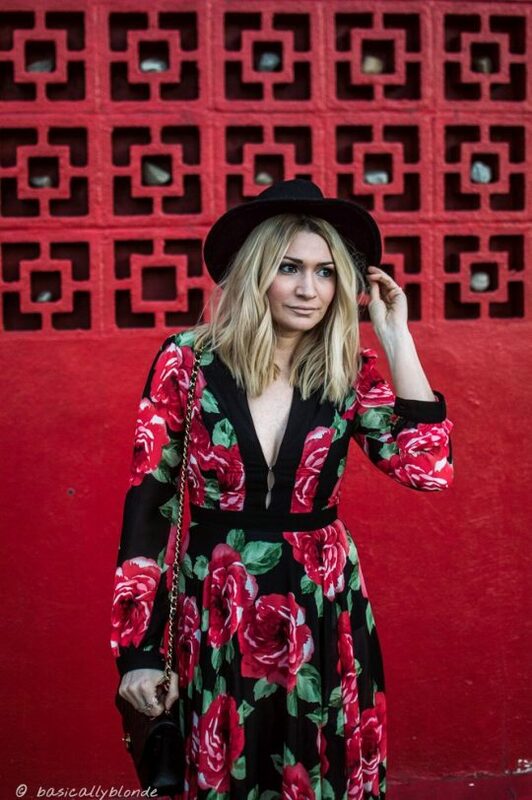 If you missed this look, click HERE. I applied the same process to this outfit where I am wearing a one shoulder ruffled lace top in off white, combining shades of white for a fresh summer look. I went with almost all white with only the black strap of my slingbacks. What are some ways you like to wear white? 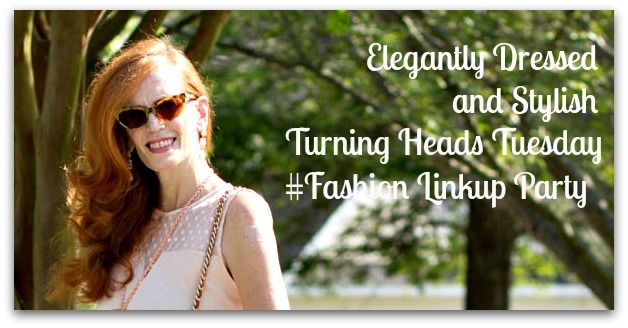 LETS HAVE FUN WITH THE TURNING HEADS TUESDAY LINKUP! SHARE THOSE HOT AUGUST LOOKS AND VISIT SOME OTHER BLOGGERS. You can feel free to post as many links as you like and/or Instagram posts. Wow! Love that top on you – so elegant and beautiful! Thanks for linking up to the Top of the World Style linkup party. Great look! You wear the white on white so well! This is such an elegant look! White on white is one of my favorite combos and you wear it beautifully, Jess! Love the lace top and those kitten heel slingbacks are adorable! I adore all white looks in summer. 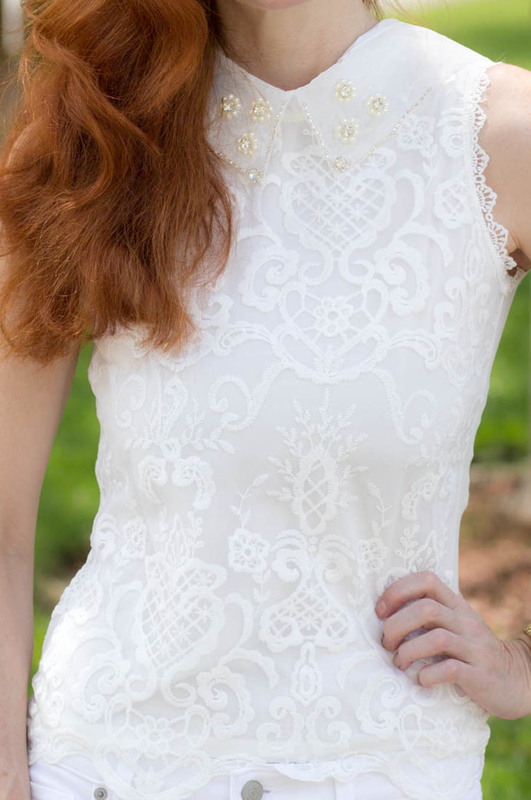 Your top embellished lace top is simply beautiful! Fabulous shoes, too. I love whites in summer too! This look is perfection. Stunning in your all white Jess and that pretty lace top is really wonderful. Those shoes are such an elegant shape. 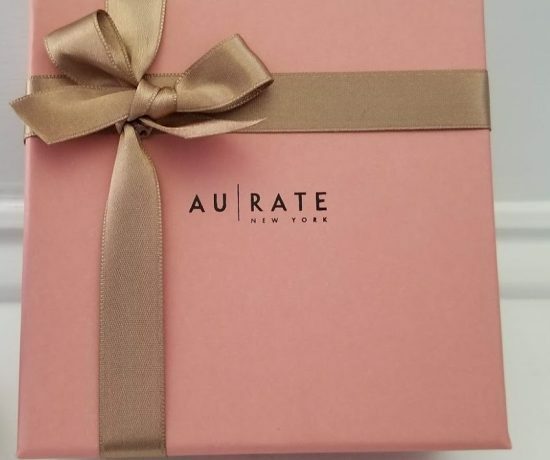 Thank you so much for hosting. Stunning look! I especially love the details on the blouse, I think that it takes this outfit from an ordinary classic look to something very special and eye-catching. I love an all white outfit in summer! You really took yours to the next level with the gorgeous top and beautiful shoes! Looking fabulous! Jess, you look stunning. The outfit is put together so beautiful and I am in love with the top. I love an all white look Jess!!! And those shoes are the cutest! You look amazing in all white, Jess! Love it!! So summer chic in white, babe! That top is seriously stunning! I love a classic and elegant look! Beautiful look! I love an all neutral colored look! Peace! Really pretty top, love the pearl detail on the collar. I love monochrome and you’ve done it perfectly. All white is alright! You look amazing in white with your gorgeous hair Jess! Stunning all white outfit Jess! I love the embellishment on the top, it’s really pretty! This is so pretty! I love an all white look…even in the winter! This all white look is so summer chic! I love the detail on your blouse! You look lovely! Jess, this all white look is absolutely stunning on you! That top is so gorgeous! And I love the little touch of black on your shoes. Well done! See–I told you I was a sucker for white…because I included my post where I’m wearing my white dress. Of course I didn’t keep it monochromatic like you did—but it’s still a white piece—that counts, right? You have the best lace items, Jess!! That blouse is gorgeous!! You look amazing in this all white outfit. I love your slides! I love an all white monochrome look, you look so chic. I absolutely love your top, the color is so pretty! Wow, you’re looking amazing, Jess! Summer has been good to you! Jess…this is WHITE HOT! Sooo pretty and sweet! I love this look! Love this look Jess, great top 🙂 Thanks for hosting. You look fabulous in all white, Jess! And I love your hair up too – beautiful. I actually just bought a pair of white linen trousers in the sale, I can’t wait to wear them. I love the idea of a white top but I’ll have to go find the perfect one lol! Thanks Suzy! The weather has been usually cooler this week, so I took a blog session with my hair down. I usually wear it up in the summer. I have considered and maybe next year, a pair of white linen pants, they look so comfy and cool for summer! I like how you’ve used lace and a bit of contrast to add interest to the outfit. It is a lovely look and very flattering on you. Stay cool 😎 and thank you for hosting. Wow! That blouse is amazing! What a delecat chic look! And those shoes are fabulous too. I wish we could sit outside here until december! But it looks like Summer has gone!